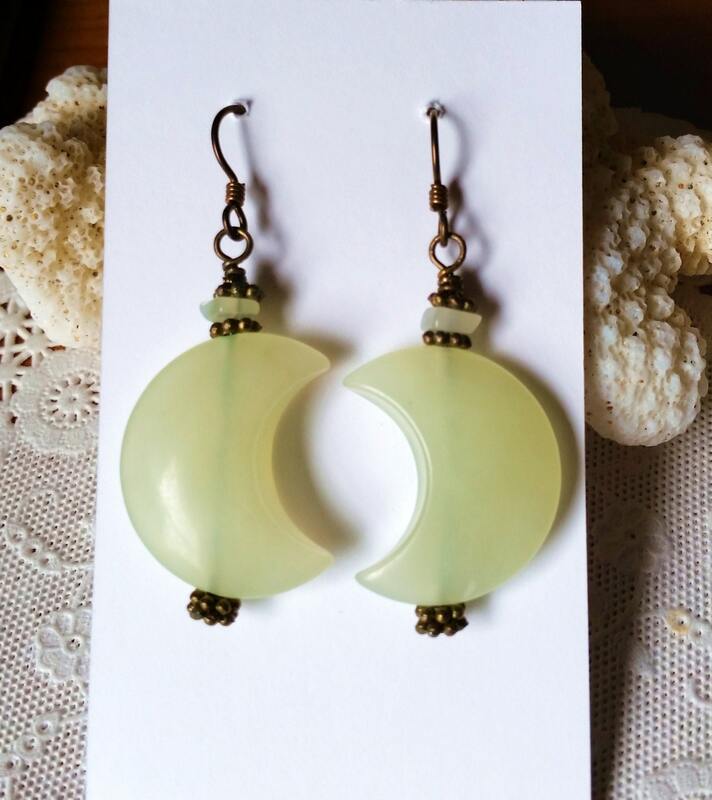 Buffed pale green translucent aventurine moon-shaped earrings have antique brass accents. 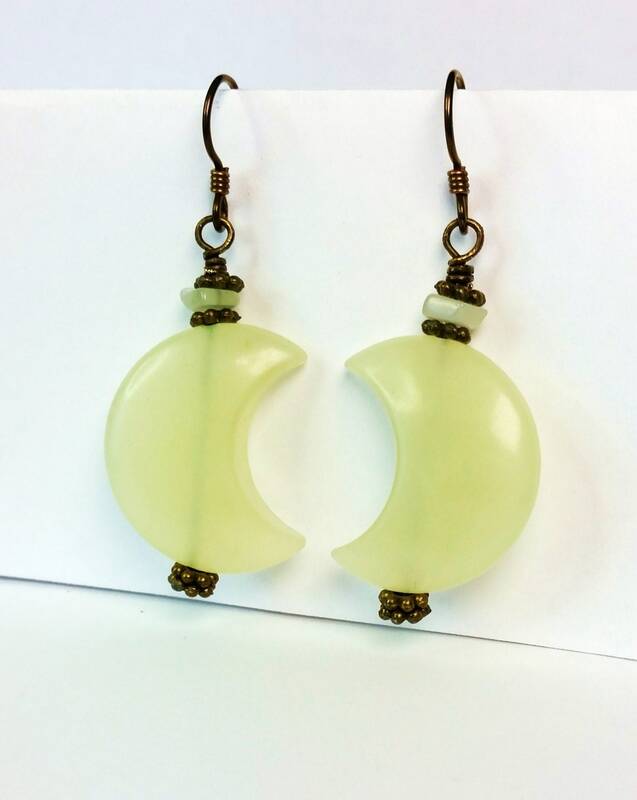 They dangle from Niobium hypoallergenic ear wire. 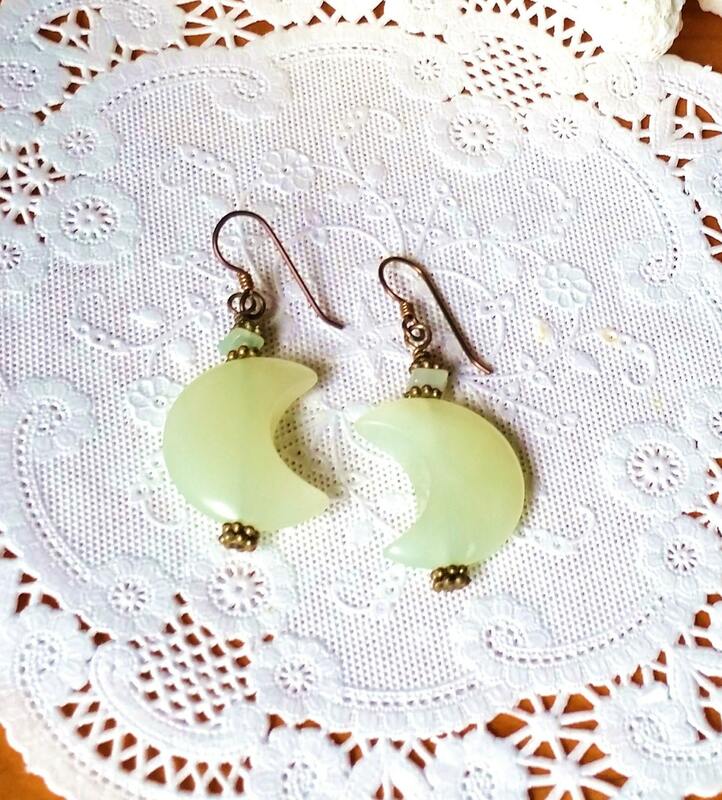 These moons are approx 1 inch in height (2.54 cm). Aventurine is a form of quartz. It is said to promote mental clarity as well as to protect the heart chakra and create a general sense of well being.